Editor’s Note: It’s December! That means that our Hit The Pass contributors get to individually annoint their personal Sports Game of the Year, based upon whatever criteria they choose. This is the second in a month-long series that we think you’ll enjoy. Up now, native Australian and Hit The Pass racing expert Dr. Ken Parker. Video gaming as a hobby requires frequent prioritization. After all, there’s only so much time and money that can be invested. Some games get missed because of benign but somehow difficult decisions. The realities of limited budgets and time meant that I didn’t play some of 2015’s best sports games. No PS4 meant no Rocket League or MLB 15: the Show (even though it was the first year that the series was officially available in my native Australia). I also passed on most of the major EA titles in 2015: NHL 16 because I played so much NHL 15, Madden 16 because of the lack of improvements in offline franchise and Rory McIlroy PGA Tour due to the lack of courses. I also skipped NBA 2K16 in part because I played so much NBA 2K14 but also because a Spike Lee story mode just didn’t resonate with me. Compared to my fellow contributors, my shortlist for 2015 sports game of the year is…well…short. After skipping the 2015 edition, FIFA 16 became a staple of my evening gaming sessions. FIFA 16 has plenty of problems but the presentation and attention to detail translates the emotion of the sport brilliantly. I wish the AI didn’t feel as predictable as it does. My passion for digital motorsport was also represented with some great titles that are worthy of consideration. Forza Motorsport 6 is an amazing achievement; a stunning game that I can only fault with an especially critical eye. As I had feared prior to release, the career mode is still to a Pokemon-esque quest to catch all the cars that trivialises the experience of driving these extraordinary machines. While the driving is a perfect combination of challenge and fun, the game can’t quite capture the pure physicality that is being inside or near a racing car. Still, if you are even remotely into cars and own an Xbox One, Forza 6 is a game you should own. After what I thought were disappointing efforts in recent years, F1 2015 was a pleasant surprise. It managed to capture the extreme speed of the pinnacle of motorsport and the grueling nature of a racing series but lacked the content required in a full priced title. Driving in F1 2015 is tremendously fun and exciting. The AI is persistent and challenging and the graphics were as good as any current generation title. Moment to moment, I enjoyed F1 2015 every bit as much as Forza 6 – but there simply wasn’t enough to do outside of the racing. Two other motorsports titles that warrant mentioning are Project Cars and WRC 5. I put at least 25 hours into Project Cars trying to find a set-up I liked. I could never find it. As much as I wanted to like Project Cars and respected what it was trying to do, I just didn’t enjoy it. I found it finicky, unforgiving and unfair. Released in October 2015, WRC 5 is on my bargain-bin watch list. Rally games hold a special place for me and I’ve heard good things about the handling and action on track, even if the visuals don’t hold up to the other impressive racing titles. However, my personal pick for the sports game of the year 2015 then is a little different. 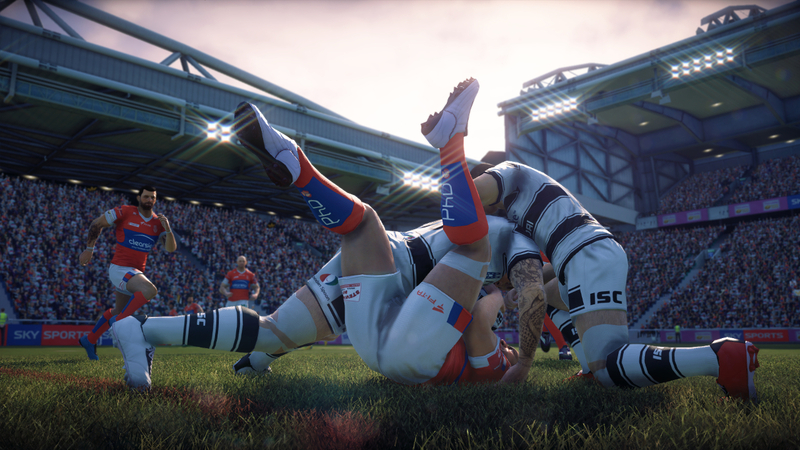 Rugby League Live 3 is pound-for-pound the best sports game of 2015. 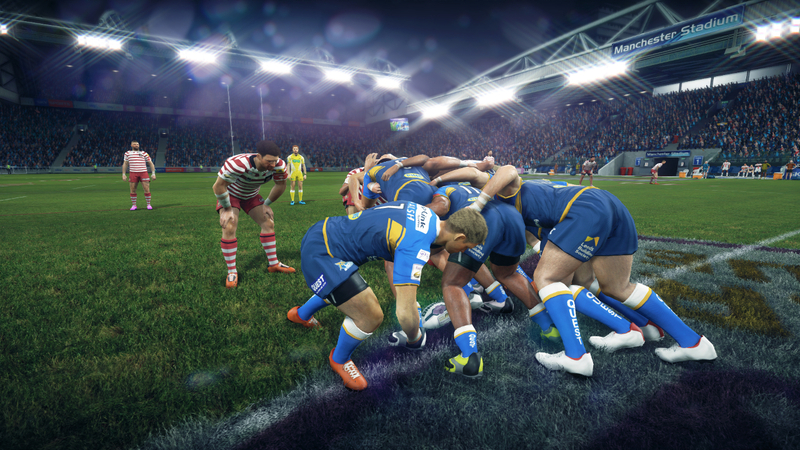 When compared to the giants of Madden and FIFA, Rugby League Live 3 shouldn’t exist. The development budget of RLL3 was probably much, much less than the cost alone of Madden 16’s ridiculous movie advertisement that featured a host of NFL stars. 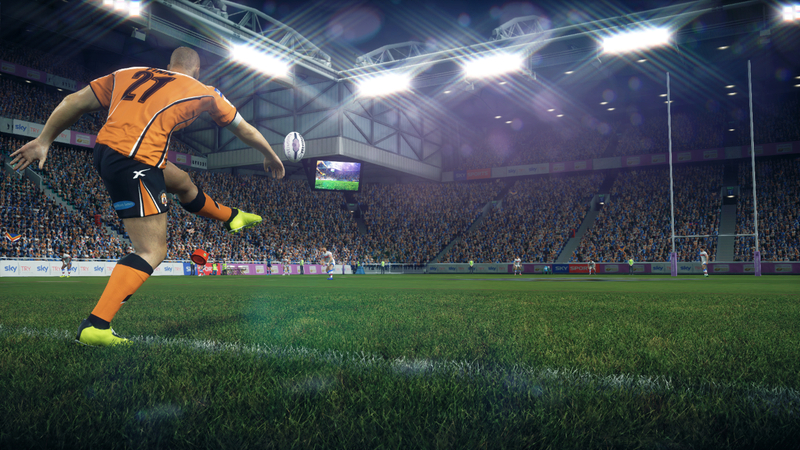 Yet the game does justice to the sport of Rugby League by (mostly) successfully translating the sport’s complex mechanics with straightforward controls and a full featured career mode. Presentation wise, RLL3 looks more like a title from the start of the 360 or PS3 era but it faithfully replicates teams and stadiums across Australia, New Zealand and northern England. If every team in the first, second and third divisions of the sport isn’t enough there is also a full customisation-mode which enables players to create and download teams from the past. In other places, the game’s limitations show through. The AI is often terrible both the computer opposition and your own team mates. 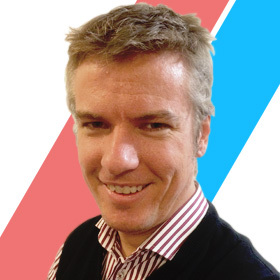 The game can’t represent all the nuances of Rugby League and subtleties involved in drawing a defender before passing, the quick darting runs of dummy half or the strategic role of kicking. Still, next to Handball 2016, RLL3 might be the most obscure sports game available for consoles. The fact that RLL3 isn’t terrible is a testament to the game’s developers’ creativity and problem solving that should be recognized. While, I’m impressed by the fidelity of modern sports games, I find many of the current trends don’t align to the way I play games or the things I value in games. RLL3 doesn’t feature micro-transactions or a collectible card mini-game. It doesn’t seek to be an eSport. It doesn’t need to be always online. The digital marketing for the game appears to be led by a retail store based in Hull in Northern England. Rugby League Live 3 feels like a game from the recent past but that’s okay. In my 2015, it’s the Sports Game of the Year.